WordPress, in simple terms, is a content management system (CMS); CMS gives you the control of your own website without the need to be tech savvy, or learn in-depth coding. The simplicity of CMS allows you to create and regularly update website pages, add your own images, and change the whole vision of your website with a few simple clicks. WordPress.com is a free and easy solution to create a basic website or blog. With the web becoming more of a dependency in peoples’ lives, and for businesses, WordPress.com is a great place to start to get your name out there. The hosting of your website, where the content of your site lives, is all looked after by WordPress, branded with their own name, allowing you to share your thoughts and ideas, blog posts, and simple websites that don’t require much customisation. Sounds pretty good, doesn’t it? Now let’s take a look at our 15-step checklist to help you create the perfect WordPress website. You’ll need to decide whether you want a .com .co.uk or .org (in fact, there’s now hundreds to choose from) for your website. A top-level domain is simply as described. You may want to consider where your target audience is based, for example, you can purchase specific country top-level domains, such as, .fr or .es depending on where you’re based. Perhaps you’re running an organisation; if so, you may want to opt for a .org domain. Be mindful, however, that the most popular top-level domains are often already taken, so you may have to think outside the box. Choosing your root domain is the fun part; getting creative and selecting the name for your website is where it all begins! Think carefully about your name to ensure it’s memorable, easy to read, easy to type, and most importantly, is available. Using a domain name website, it’s easy to see whether your chose name is available or not. So take your time, be creative, and have fun! Once you’ve purchased your domain, a sub domain can be created at no additional cost. An example of a sub domain would be maps.google.com so is always visible before your top-level domain. These are useful if you offer different services or products as part of your main brand. Choosing a web hosting package to suit your website needs, and one that supports WordPress is essential to being able to view your website online. There are some important factors to look out for when choosing a web host, so we’ll go over some of these for you. It is critical to choose a web host that will support WordPress. As WordPress is a content management system, not all web hosts will provide support. On the other hand, some web hosts will provide support and 1-click installs for WordPress, meaning all the hard work is done for you, at the click of a button. Some web hosts provide unlimited bandwidth and storage, whereas some don’t. Those that don’t aren’t necessarily bad, as you may be able to get a cheaper deal if you know that you won’t be requiring much storage space for your website. If your website is content, image, and eCommerce heavy, you may want to consider an unlimited package. If your website contains a blog, or a simple website, you won’t require that much storage space. If you decide to expand your website in the future, most web hosts will allow you to upgrade, so check this feature out before purchasing. Choosing a reliable web host is very important. You’ll want to make sure you look out for providers who offer a 99.9% uptime guarantee to ensure your website doesn’t go offline. You’ll also want your provider to offer you a decent support network, so if you have any questions or queries, someone will be on hand pretty quickly to help you out. Try and opt for web hosts with 24/7 support and live chat. Often choosing a web host can be a bit of trial and error; you may choose a provider and then a friend recommends a different one, so you might end up changing your host several times. Keep your eye out for a web host that offers you a money-back guarantee, so if things go wrong, or you change your mind, you won’t be out of pocket. If your domain name came as part of your web hosting package then you can ignore this step. Login to your domain’s cPanel or control panel and look for something to indicate you can change your nameservers. Once you’ve located it, enter in your nameservers from your hosting provider. Once you’ve done this, you’ll likely have to wait up to 24 hours for the configuration to complete. You’ll need to download the latest version of WordPress, then upload it to your hosting account using FTP (file transfer protocol), which is a file transfer method. You’ll need to download an FTP client, such as, FileZilla to get started. The client will ask for your host name, username, and password, which are all provided to you by your web host. Once you’re connected to your host via FTP, locate the folder named public_html – this is the location where you’ll upload WordPress to. If you’d like your WordPress site to be located on a sub domain, locate the sub domain folder via FTP and follow the same steps. You’ll need to create a database in order to store all of your websites’ WordPress data. Login to your web host’s control panel and create a database, including a username and password. If you’re not sure how to do this, your web host will kindly help you through the process. Type in your domain www.example.com where you’ll be prompted to enter some information. Make sure the information you enter isn’t generic, and can’t be guessed, so avoid usernames like ‘admin’. Choosing a theme for your WordPress website can be a lot of fun, and there’s thousands to choose from! The world really is your oyster in this aspect, with options of free themes, paid themes, and custom themes, you’re bound to find one that suits your needs down to the ground. If not, themes are customisable, so you can make tweaks here and then to get it just right. When choosing a theme, put yourself in your viewers’ shoes and think about what you’d like to see on a website. Is the content easy to read? Does everything work? Once you’ve chosen your theme, you’ll want to configure some basic options for your website to ensure it runs smoothly. Akismet is a tool designed to stop people from being able to spam comments on your posts. Akismet is part of WordPress and requires you to simply activate it. If you don’t want people to comment on your posts in the first place, you can disable comments by navigating to SETTINGS > DISCUSSION and uncheck Allow people to post comments on new articles. By default, when you create a new post or page on your WordPress site, the URL will generate as follows: www.website.com/?p=3425 so you’ll want to make your URL more relevant. Enable custom permalinks by going to SETTINGS > PERMALINKS and selecting your own. SEO simply means making your website visible on search engines. For example, if you’ve created a website that sells shoes, when someone types ‘black shoes’ in a search engine, you’ll want your website to appear near the top. Some WordPress themes include SEO optimisation, but it’s always best to optimise your website with a plugin to ensure great results. One of the best SEO plugins on the market at the moment is Yoast SEO. Generating an xml sitemap will create a search-engine friendly map of all your webpages. Most plugins don’t include this, so it’s certainly worth creating one. Meta descriptions and meta titles appear on search engines, under search results. You’ll often see a customised title of a website and a customised description in the search engine. This ensures that keywords relevant to your website appear, enhancing your websites’ SEO. Ensuring your image files are named in a relevant manner will boost your SEO. Often people will download images from the internet that are name image_1.jpg which doesn’t describe what the image is. Make sure to rename your image files to make them more searchable on the internet. When a user visits any page on your website, WordPress processes the information (content, images, etc.) to the server. This process means scanning all of the data available, including your databases, and executing that to be visible for the user. Rather than performing this process every time a user visits your website, which can be a drain on resources, WordPress offer a plugin that creates a static version of your website, the W3 Total Cache plugin. Think of it like this; the less unnecessary data present, or requested from your server, the faster your website will load, keeping users interested for longer. Creating a back up of your WordPress website is probably one of the most important things to remember. If something goes wrong with your website or hosting provider, you’ll want to make sure you have a copy of your website saved, which can be retrieved at any point in time. You need to make sure you back up your files and your database. VaultPress is owned by the creator of WordPress and offers different pricing plans dependant on your needs, and your website. VaultPress offers 1-click restores, 30 day archives, and more. 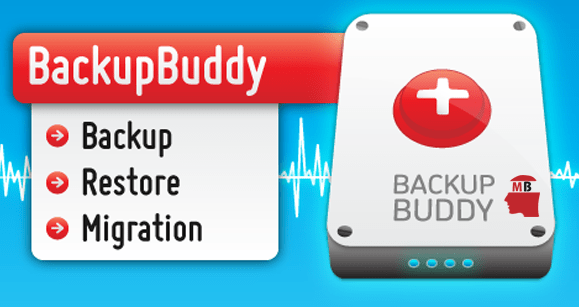 BackupBuddy allows you to back up your website content to your server and offers various online protection features, such as, spam protection. With different plans, you can choose one to suit your needs, with a one off payment, you’ll be covered for the year. WP-DB-Backup does what it says on the tin and backs up your websites’ database tables. 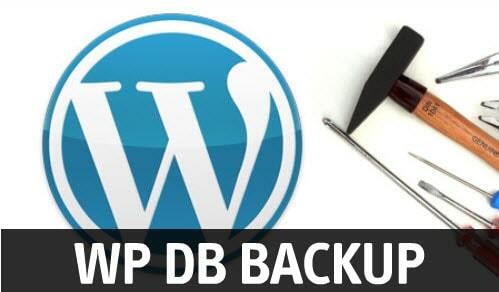 WP-DB-Backup is completely free and can be download and installed as a plugin to your WordPress website.